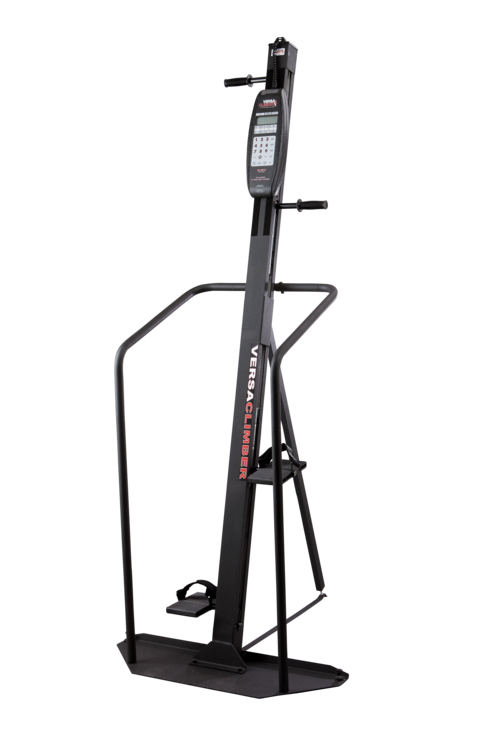 Sharing many benefits of the Versaclimber professional gymnasium range, our Home model weighs in at entry level, representing excellent value for money. The Versaclimber Home offers the same unique climbing action as its sister models and offers the chance to stay in peak condition without having to meet monthly gym membership fees. Fitting easily under a standard 2.44m ceiling and requiring only 92cm x 112cm of floor space, the home model engages all major muscle groups – arms, chest, shoulders, back, glutes, hips and legs – in a single natural motion. Alternatively, you can change hand positions and use it as a stepper or concentrate on a specific muscle group. 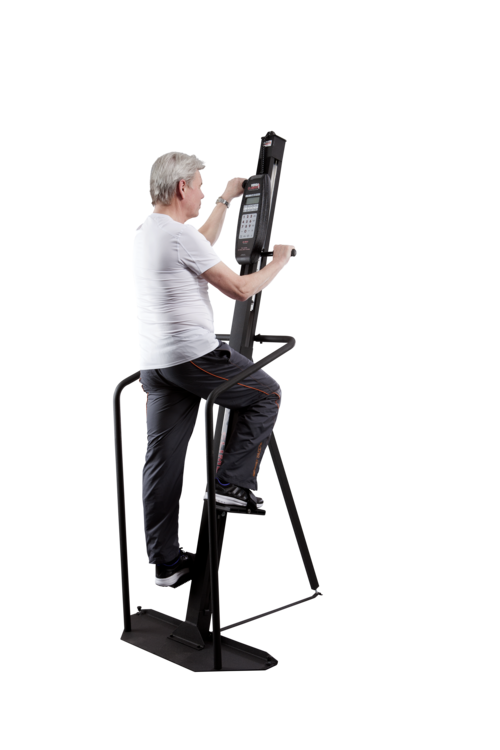 The VersaClimber is a zero impact, non traumatic machine, so there’s no pounding on knees and joints-it’s ideal for people with previous lower body injuries or those who want to avoid high impact exercise such as running. Smooth and quiet, you can use the VersaClimber while others are reading or watching TV in the same room. A plastic coated cable at the heart of the machine makes for a virtually silent operation.